For busy gals on the go, this tote is the perfect mix of fashion and function. 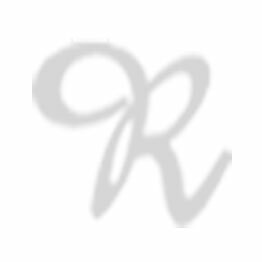 Gentle dark gold RR RIONI monogram print on solid brown Italian designer canvas. Accented with dual leather shoulder straps and trim. Embossed RIONI Moda Italia emblem and gold hardware. Rear zippered pocket. Top zip closure. Coffee brown fabric RIONI monogram print lining. Spacious interior featuring a side pocket, a cell phone pouch, two corner pouch pockets, and a zippered pocket. 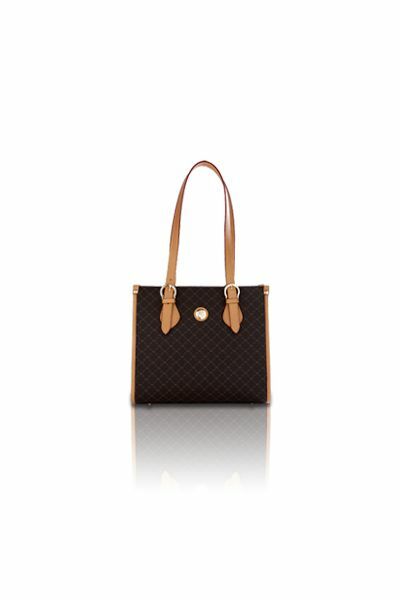 L18.5 x W5.5 x H11"
Product: The Jersey Tote was added to cart.